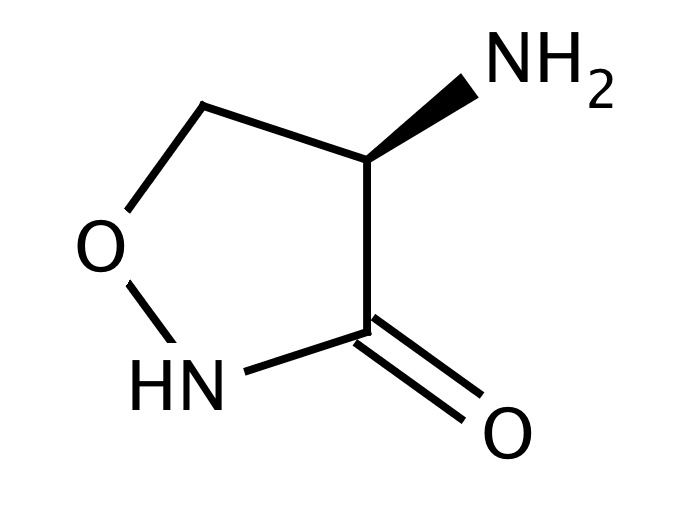 Cycloserine is an amino acid derivative with an unusual structure. It is a colorless solid that is produced by some bacteria. It has emerged as a drug sold under the brand name Seromycin. Send us your enquiry for D-Cycloserine. We offer custom pack sizes at special prices. We aim to respond to your enquiry within 24 hours. We value your input so if you have suggestions regarding new applications for D-Cycloserine email us and we will include your contribution on the website.